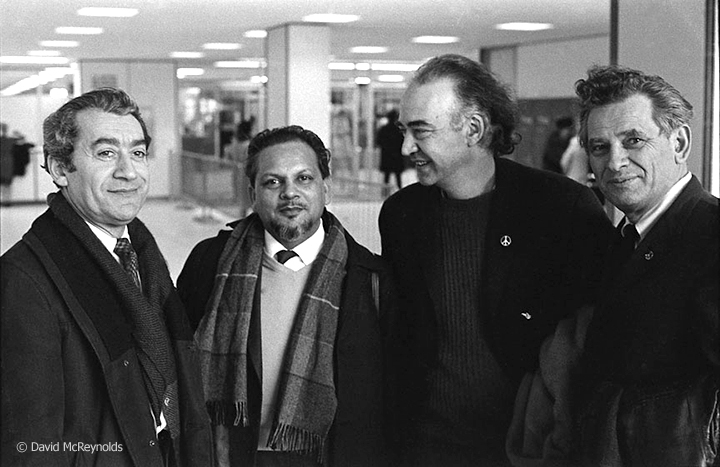 War Resisters’ International Secretary Devi Prasad (second from left) at the end of his 2-month U.S. speaking and meeting tour. Seeing him off are WRL staff member Ralph DiGia, Executive Committee member Igal Roodenko, and WRL Chairperson Eddie Gottlieb. April 1967. 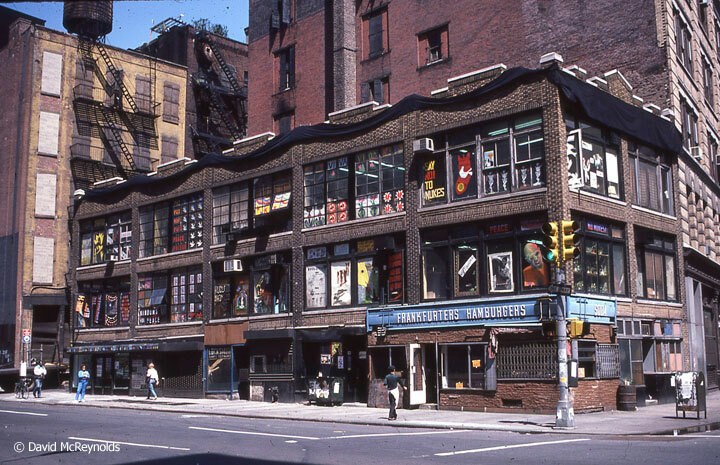 1978 – 339 Lafayette Street, New York City. Out at a protest: WRL staff and volunteers: Grace Hedemann, Steve Rossignol , Peter Geidel, Ed Hedemann, Jim Peck, Vicki Rovere, Ralph DiGia - July 1980. Street clown outside 339 Lafayette, July 1980. 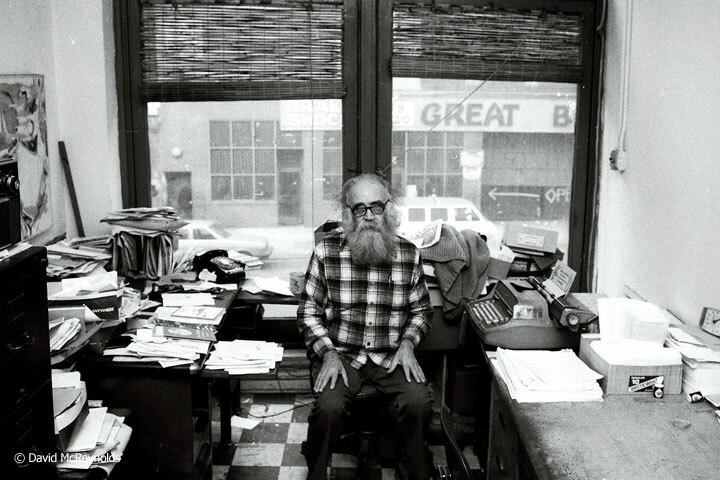 Igal Roodenko in his office at 339 Lafayette Street, 1981. Lynne Coffin and Ed Hedemann, 1981. Ralph — at work or play? WRL staff members Liz Aberman and Karl Bissinger. 339 Lafayette office. Grace Hedemann, WRL Staff, and Wendy Schwartz, Director of the AJ Muste Institute, which owned the Peace Pentagon. Maris Cakers and kids, 1981. The Peace Pentagon from a Bleecker Street building. 339 Lafayette Street, June 1982. 1985 – 339 Lafayette Street, New York City. 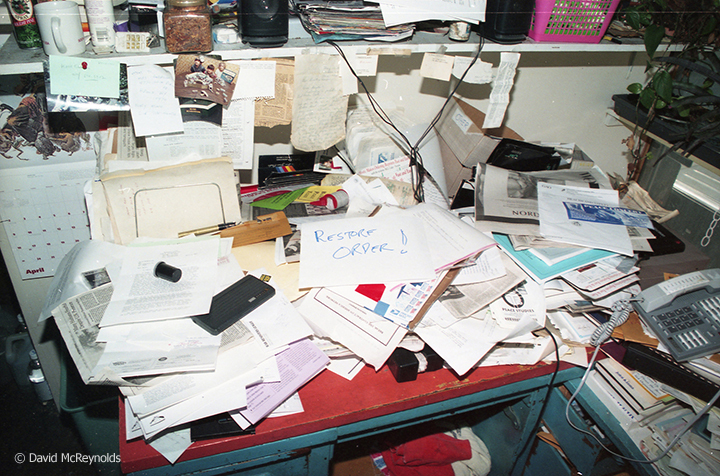 Trying to convince himself to “restore order.” David's desk, April 1995.